Casey-South Melbourne quick Jackson Fry summed it up perfectly in the wake of a horror day for the club on Saturday, with Footscray needing only six more wickets to achieve an outright victory. The Swans batted for just 47 overs on day one of its clash after being sent in at Casey Fields, losing 14 wickets and scoring just 123 runs for the day. “Really good sides, and really good players, go on with it and get the job done, and we can’t do that this year,” Fry said after a tough day for the club. While there is a clear experience difference between the 18th placed Swans and the fifth placed Dogs, the Swans lasted just 90 minutes of the first session before being bundled out for a lowly 61. Hamish Winter-Irving (2/23) and Jonah Koch (3/20) controlled proceedings with the new ball, with youngster Austin Heldt (0) edging the ball into the sticky gloves of Dylan Kight (five catches) in the first over, setting the tone. Michael Wallace (4), Lachlan Sperling (4) and a more defiant Dev Pollock (13) all fell to some clever bowling, with Sperling and Pollock forced into false strokes through some movement off the pitch. Despite Luke Manders (21) looking classy in his return game, with some cracking drives that netted him five boundaries, his dismissal at the hands of Lucas Dredge (5/17) sparked an almighty collapse that saw the Swans lose their last five wickets for just 11 runs. The Dogs lost Matt Underwood (6) early in the chase, but carved boundaries at an alarming rate, declaring after just 46 overs with the score ticking over to 7/231. 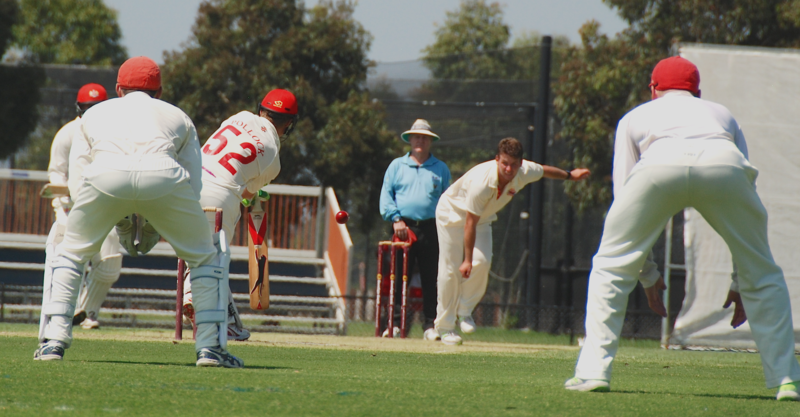 The Swans had 24 overs left to face for the day, and were left red faced as they were quickly 4/30. 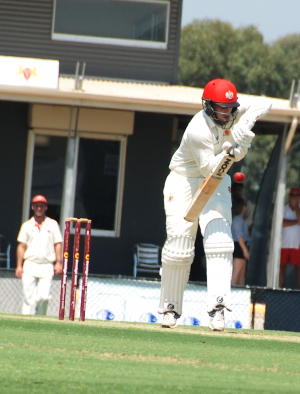 Luke Manders (44 not out) once again played a splendid counter attacking knock, crunching eight boundaries, while Dylan Hadfield (6 not out) managed to also bat out the day and give the Swans a fighting chance of avoiding outright. “Very disappointing, there is probably not many positives to take out of that day’s play; being sent in and being knocked over in 22 overs makes it a disappointing day for the club,” Fry said. 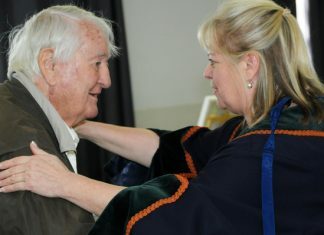 While Fry acknowledges his side is still in a learning faze of its development, he was full of praise for the club out west. “They’re a quality side, and I think they’ll win the premiership to be honest, it’s them or Dandenong for me; when you look at our side, with guys like Joel Mitchell, Austin Heldt, even Luke Manders who has played just 12 games, it is a real learning curve and we can take stuff out of it about how they went about it,” he said. “I’d like to think we aren’t the worst side in the comp and shouldn’t be on the bottom; you just have to look at last season and how well we went, and we know the talent is good; as a group, we have to work harder, no doubt. Fry didn’t hide his frustrations at the middle order collapses that have become frequent this season, but conceded with experience, will come consistency. “When we bat first, unfortunately we haven’t been able to post scores; it certainly makes it tough, but the best thing we can do is try and maybe be competitive first and foremost and try and win a couple,” he said.